It strengthens the liver and heart, controls excessive urination and is useful in cough. 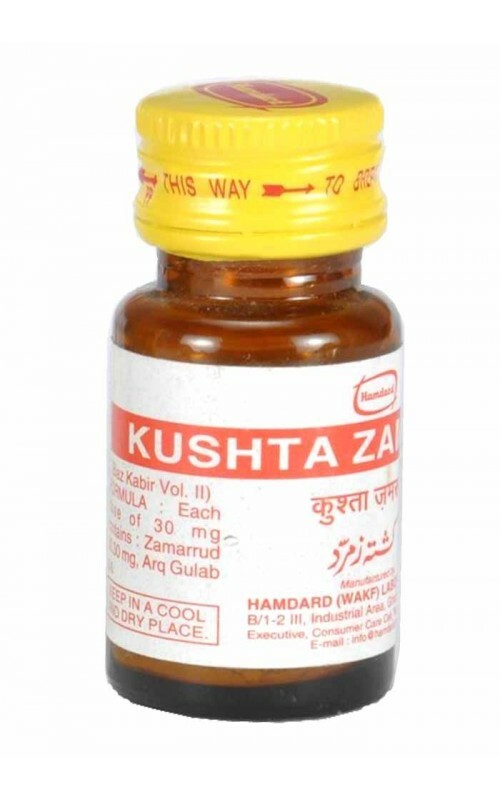 30 mg or 1 tablet, to be taken with 10 gm of Jawarish Zaruni Ambari. 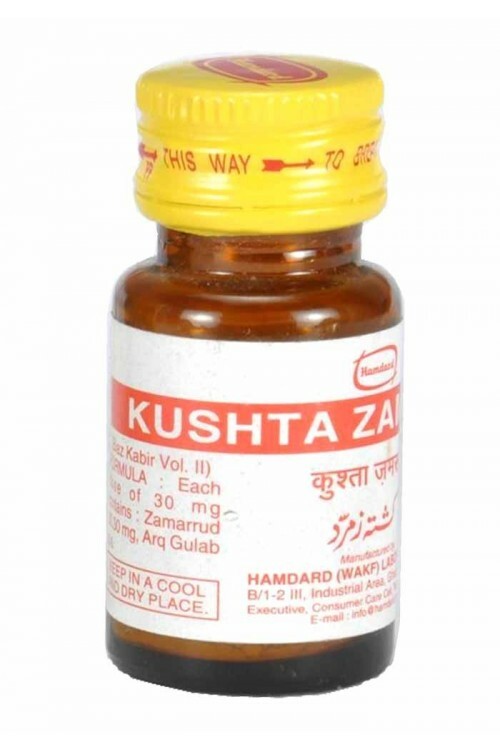 pack Size : Kushta - 10 gm, Tablets - 60 nos.